Have millennials become vulnerable to social media traps? We miss the good ol' Super Mario days, when rescuing the naive princess was the winning stage and no blood was shed. Max to Max, you fall off the wall and you die (virtually, of course). We've seen kids getting addicted to computer games and losing momentum in their studies. Rare is the case when they get addicted to a game that goads them into committing suicide, eventually. A new game has become the new obsession amongst the millennials and has literally become a threat to their lives. The Blue Whale Game or The Blue Whale Challenge is the latest game that's taking over the Internet like wild-fire. Alexander, a 22-year-old man who was rescued from the Blue Whale Suicide Challenge in Puducherry talks about his "agonizing experience" with the game, a death trap that he could not disengage from, even though when he wanted to. He appealed to people not to try the game on any account, saying "not an app or a game" but a "virtual death trap". Reportedly, Alexander was about to carve the blue whale motif on his hand when the police team barged into his house on time and saved his life. The victim described how he fell into the trap of the deadly game. A WhatsApp link led to his obsessive addiction to it. He came to his hometown, Neravi on leave from Chennai and never returned back to work. "As soon as I opened the link, I started getting instructions from an 'administrator' about tasks I was to do. They first gave me the task of giving out all my personal details, photographs, mobile number and email ID," he said. His second task was to rescue a small whale from several dangers and taking it to the mother level. There were tasks such as, watching a horror movie at odd hours and posting a selfie. His fourth task was to visit a graveyard late at night and posting a selfie on social media. And the fifth task being, carving a whale tattoo on the arm using a sharp object. Not just that, other tasks in this horrible game included cutting oneself everyday and posting pictures of it on social media. "I was lucky. I was saved by their timely intervention. I appeal to everyone not to fall prey to the killer game. It's a death trap, a horrible experience." Another Blue Whale survivor, who was just saved on time after she jumped into a river to end her life, opened up about the game. The teenage girl terrifyingly expressed, "It took me two hours to start the game. Then I played it for entire night. They had given me four options. Make a shark from blade on your arm, jump off the terrace, take a plunge in the ocean or any river and run away. They said if you don't complete the task within 3 days, something unimaginably bad will happen to you." In India, 9 cases have been reported of kids committing suicide and physically harming themselves because of the Blue Whale Challenge. 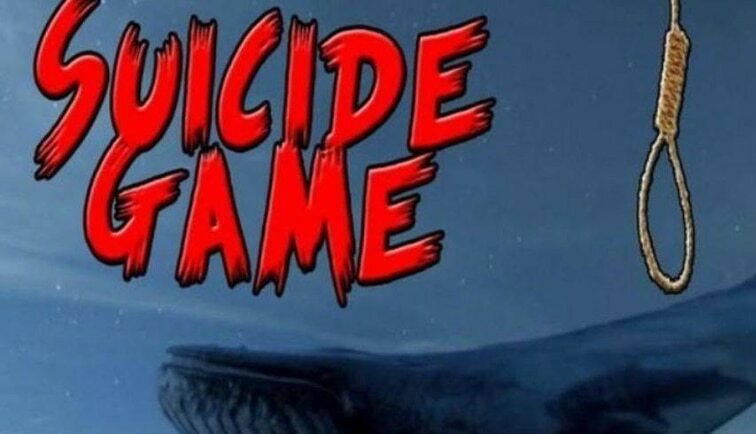 The game which psychologically provokes people to indulge in self-destructive tasks for 50 days and then finally giving them the winning task of killing themselves, is responsible for more than 100 cases of 'attempt to suicide'. If you hashtag search #BlueWhaleChallenge on social media, you'd come across many inappropriate and shocking images. Is it right to say that millennials have become vulnerable to social media traps? Has smartphones and the Internet destroyed a generation? Do we need to change our tried and tested school syllabus and add an obligatory subject to teach kids the right use of social media and how to deal with propagandists?